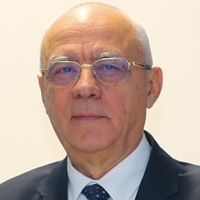 Dr Teodor Chirica has over 40 years’ experience in the Romanian nuclear energy industry. Actively involved in the development of the CANDU project in Romana since the early 70’s, Dr Chirica has worked for the CANDU Owners Group, ISPE, CITON and RENEL. Following this, he has served in different managerial positions at Nuclearelectrica (1998-2009) becoming CEO between March 2005 and January 2009. He also acted as Managing Director of AMEC Nuclear Romania (2009-2013) and as CEO of EnergoNuclear – SPV for Cernavoda Units 3 & 4 from November 2013. Since October 2017, Dr Chirica is Senior Adviser to the CEO of Nuclearelectrica. He holds a PhD in nuclear science from the Polytechnics University in Bucharest. Dr Chirica has been instrumental in the setting up of the Romanian Atomic Forum (ROMATOM, 2000) and in its affiliation to FORATOM. He has been a FORATOM Executive Officer since 2006, and was appointed President of FORATOM as of 1 January 2018. In addition, since 2015, he acts as Special Advisor ROEC.